WIN The VIP Treatment At Brisbane’s Most Glam Race Day! 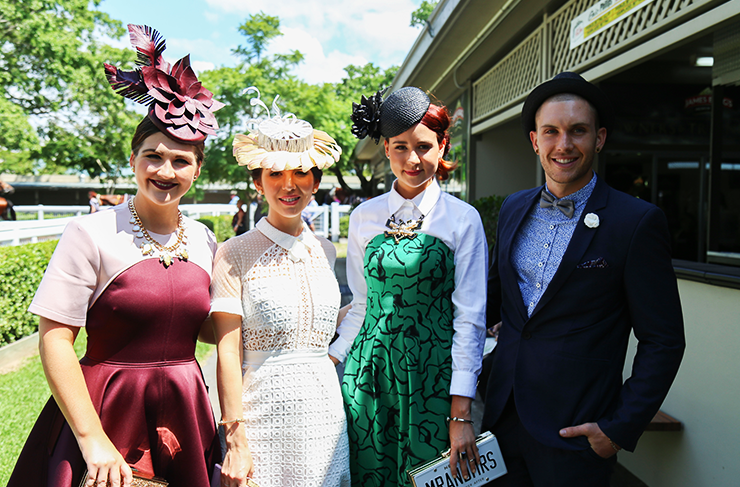 Say goodbye to winter in absolute style at Brisbane's most glamorous ever race day! Tattersall's Club Race Day is one of the biggest racing events of the year in our social calendar! On Saturday 23rd July, Doomben Racecourse is pulling out all the stops for this super glam race day, and is set to be the talk of the town. With delicious food and drink available, along with epic live music acts, this is the event not to miss! To celebrate, we're giving away 6 exclusive Member Stand tickets plus a $100 food and berverage tab to spend at Favelon Bar, valued at $280! To get your hands on tickets for you and your crew, simply enter your details below. Win 6 Members' Stand Tickets + $100 Bar Tab At Tattersall's Club Race Day! Terms & Conditions: Competition closes Tuesday 20th July at 4pm. Win Race Day Member Stand tickets for 6 people + $100 food and beverage tab. Total prize value = $280. The package is to be used on 23rd July 2016. By entering your email address, you agree to be added to The Urban List Brisbane and Tattersall's Racing Club databases.